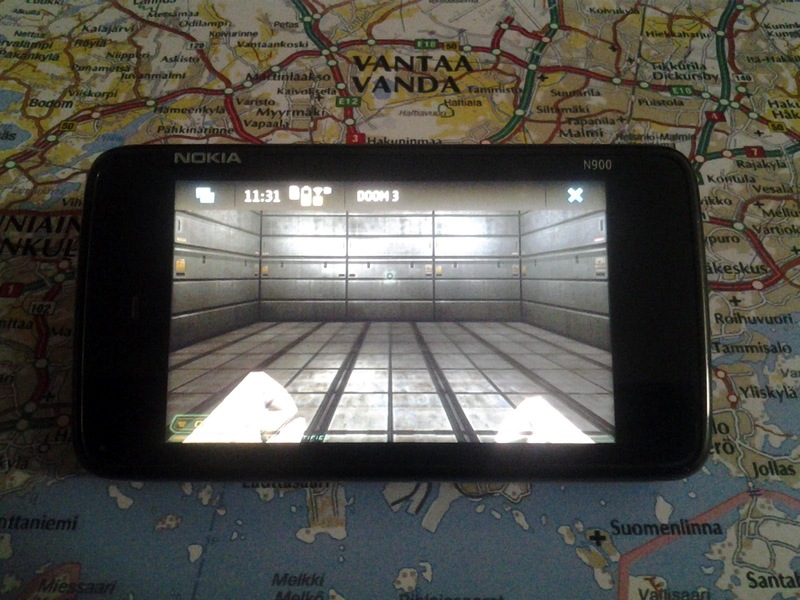 I'm sick with a cold, but since I ran out of movies to watch I thought it best to try to distract myself by seeing whether the N900 could run my Doom 3 branch. It turns out the answer is "yes, but very slowly." I suspect due to the completely non-optimized code, poor choice of formats (should be using RGB565), and avoid using highp everywhere in the shaders.